Browse: Home / trueseeing is a fast, accurate and resillient vulnerabilities scanner for Android apps. 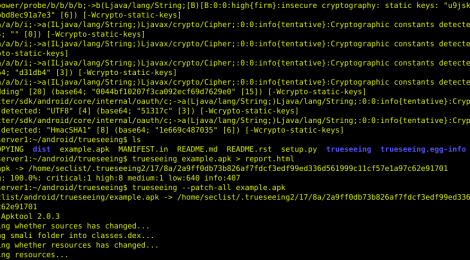 trueseeing is a fast, accurate and resillient vulnerabilities scanner for Android apps. trueseeing is a fast, accurate and resillient vulnerabilities scanner for Android apps. It operates on Android Packaging File (APK) and outputs a comprehensive report in HTML. It doesn’t matter if the APK is obfuscated or not. ← icssploit – Industrial Exploitation Framework.